Premium quality first flush Highlands’s clonal tea from Longview Tea estate. Combination of black & green leaf gives liquor that has a smooth texture and perfect aroma. Enjoy a cup of this medium caffeine tea at evening. 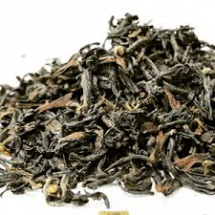 Brand – Darjeeling Tea Shoppe Origin – Darjeeling Tea Type – Combi..